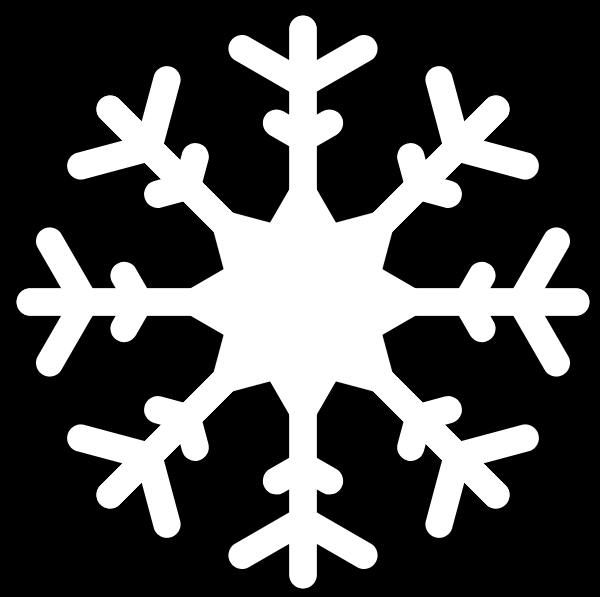 I have a bunch of SVG images that are made in the following way: there is a “base shape” defined by a bunch of lines arranged in a tree-like fashion, that are cloned mirrored and transformed into a snowflake pattern with SVG’s <use> nodes. Unfortunately some applications do not handle thick lines and <use> nodes well, so I hoped to convert them to a more “simple” form of SVG with Inkscape. Unfortunately, in their original form Inkscape seem to be unable to do anything with them: Path → Stroke to Path, Path → Object to Path, Path → Union or Path → Combine does not seem to do anything. This way I end up with an SVG containing a single path like I want. Is there a way to achieve the same result faster? Inkscape version is 0.92.2 if that matters. Select everything – Ctrl + A.
Repeat steps 2 and 3 until nothing changes anymore.